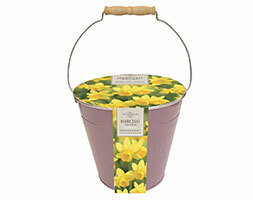 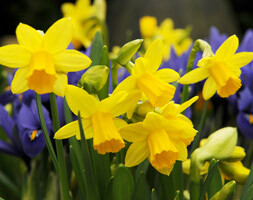 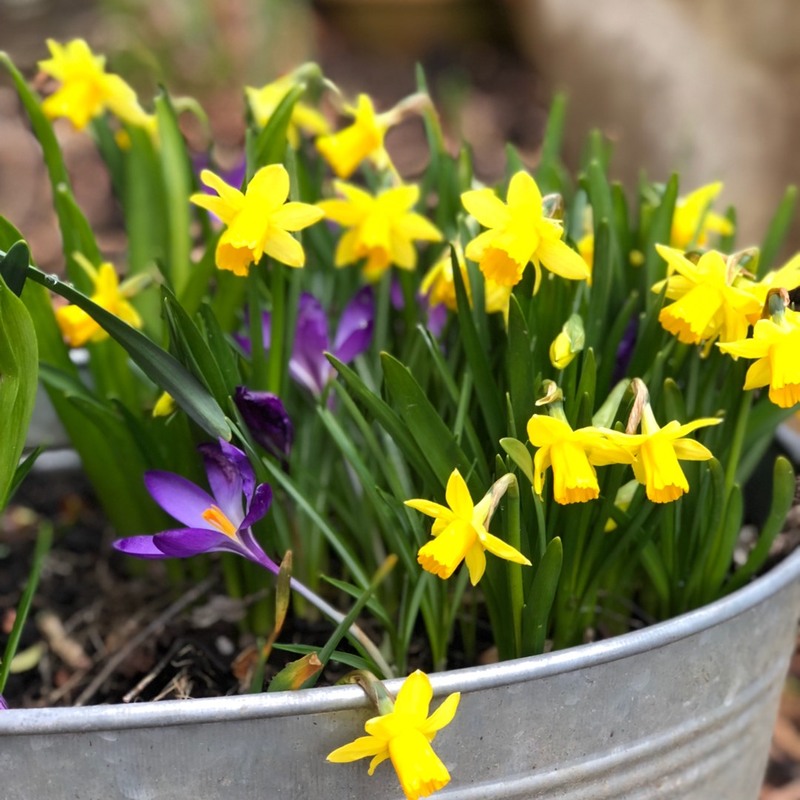 A harbinger of spring with many different types of these bright flowers, they come in dwarf varieties as well as the standard type and are easy to grow. 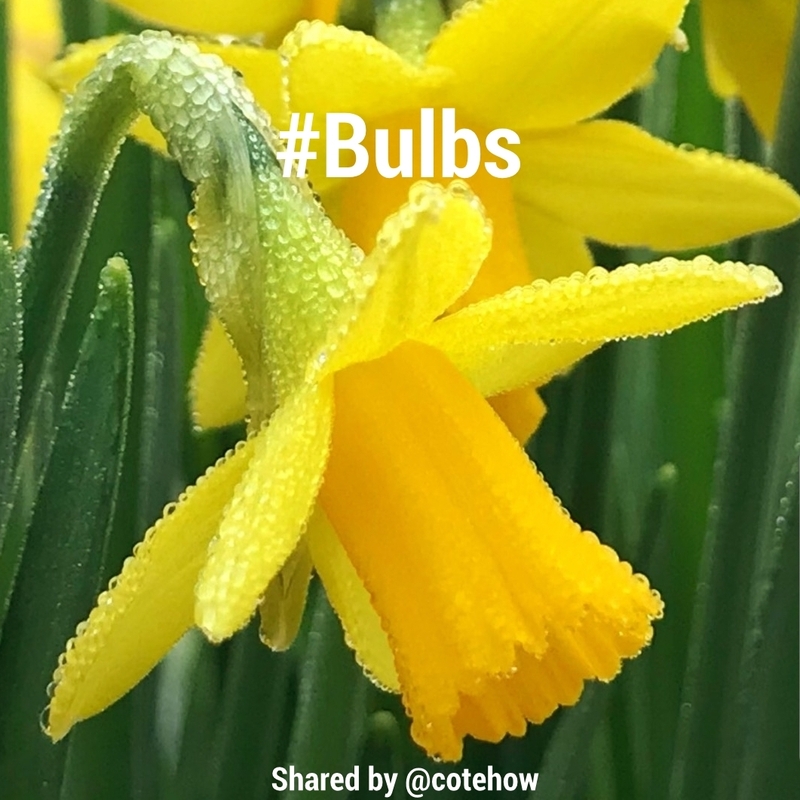 They come in many shades of yellow and white, they all have outside petals and a cup in the middle often having the cup a different colour or shade to the petals. 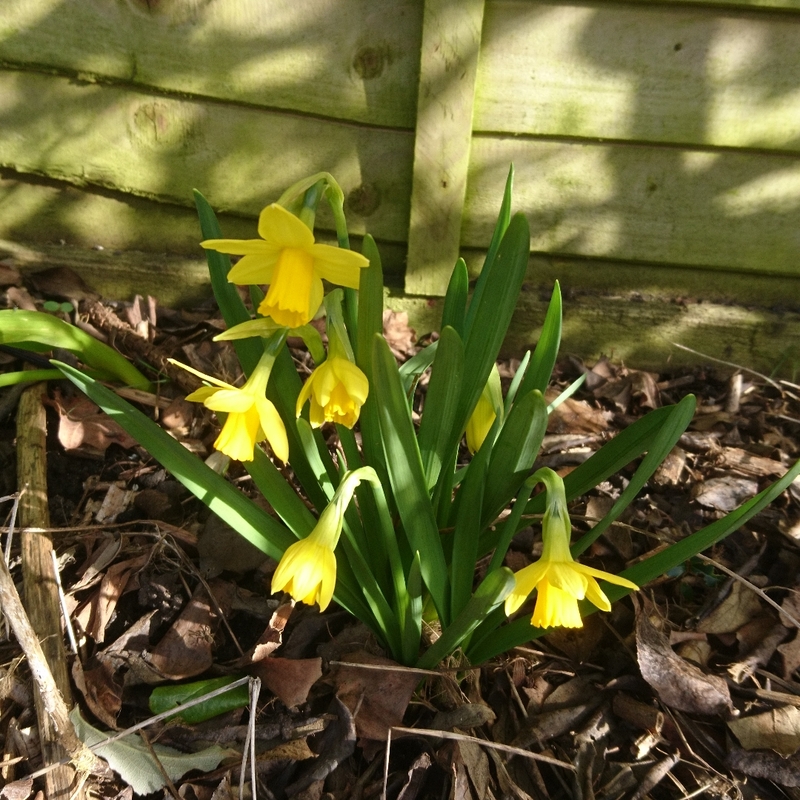 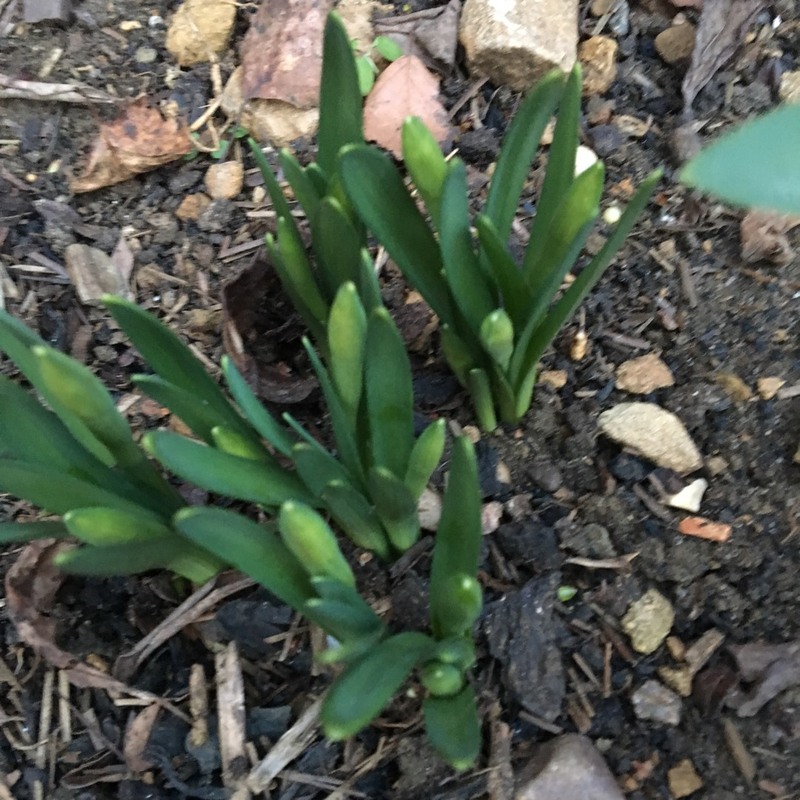 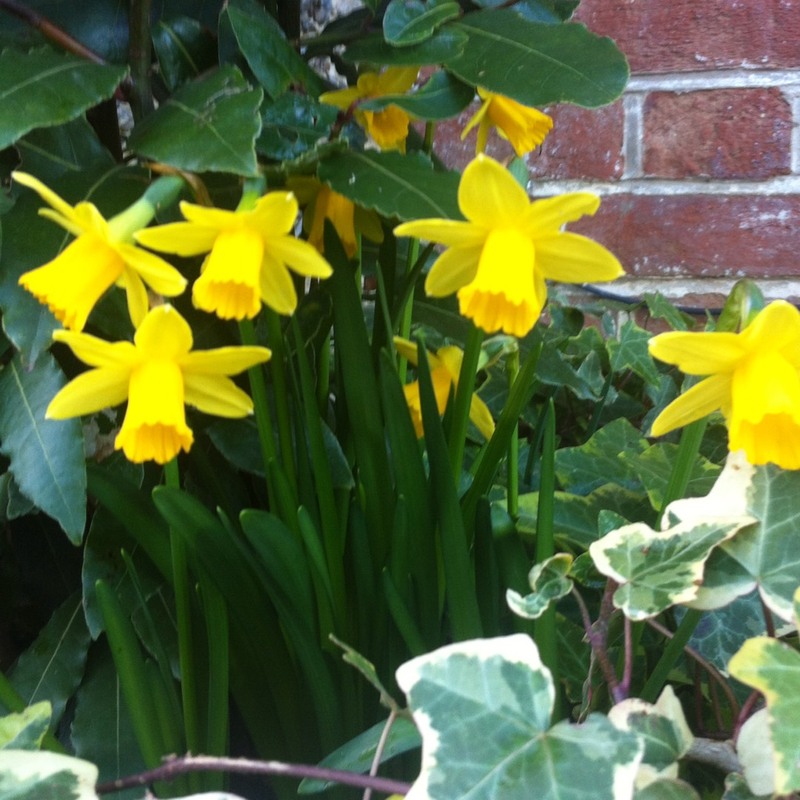 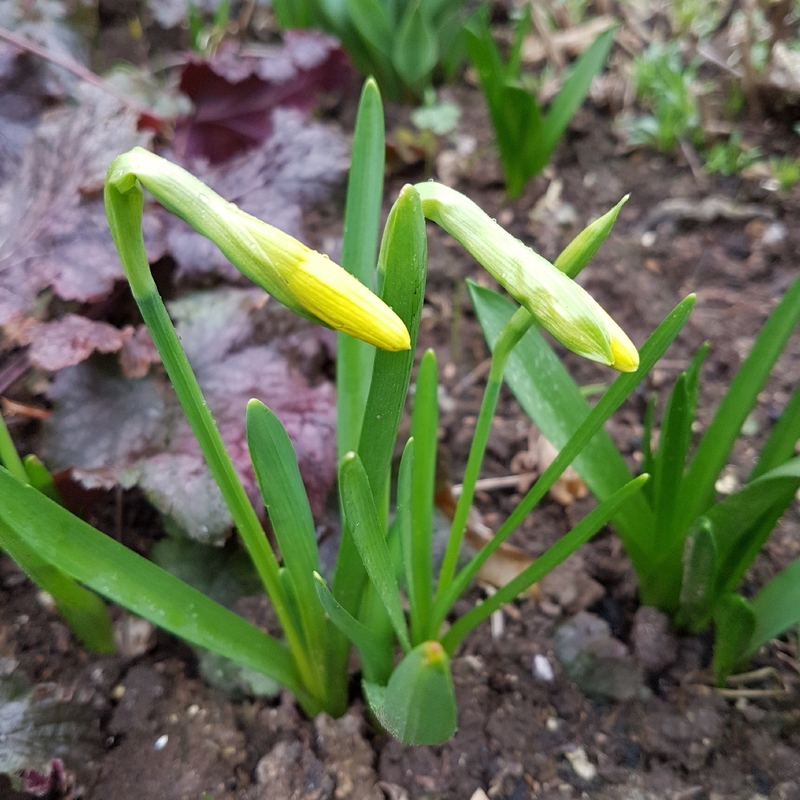 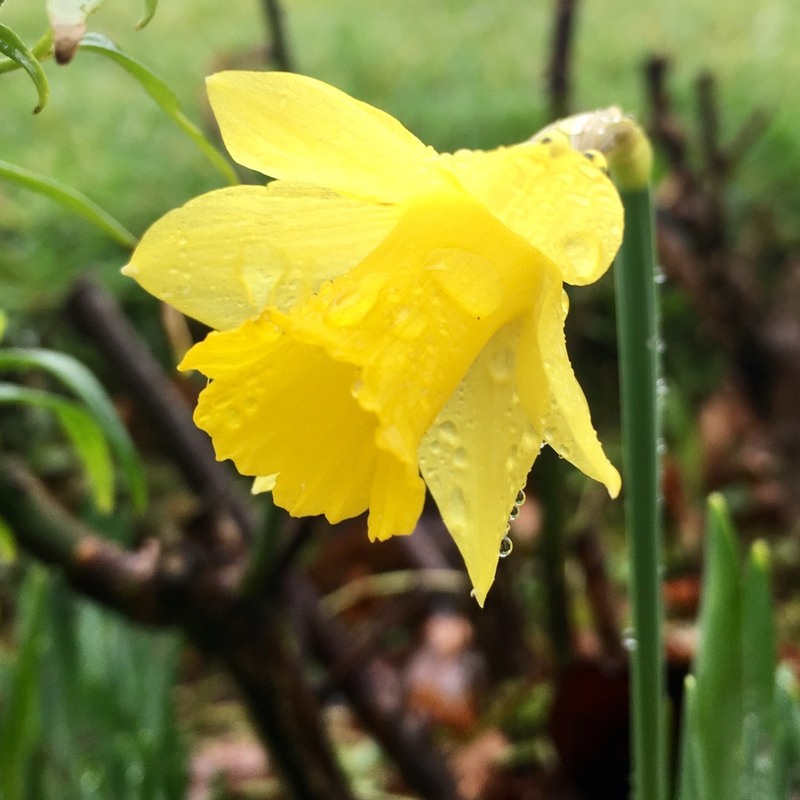 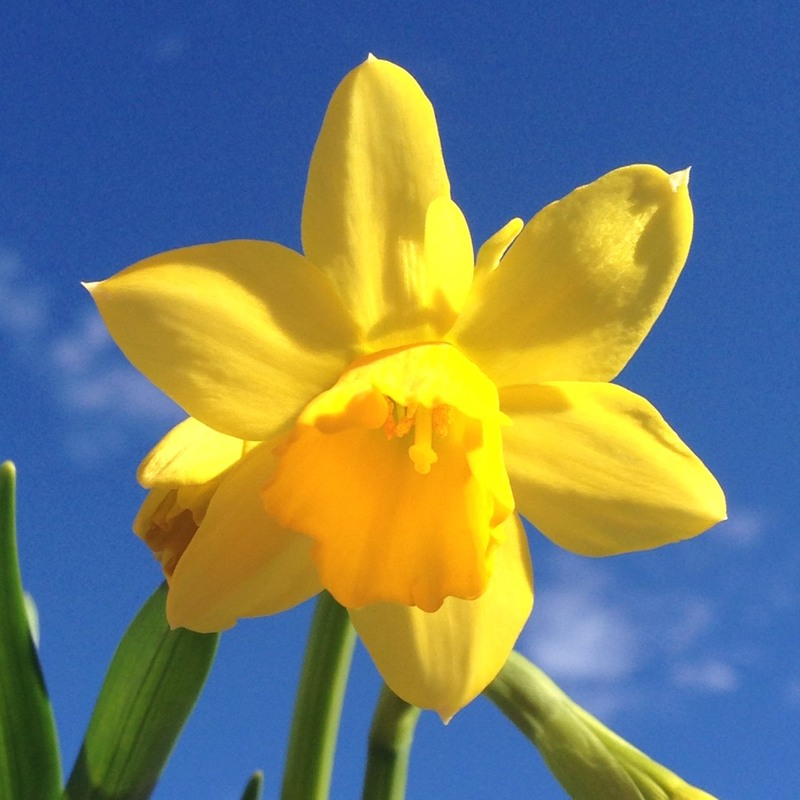 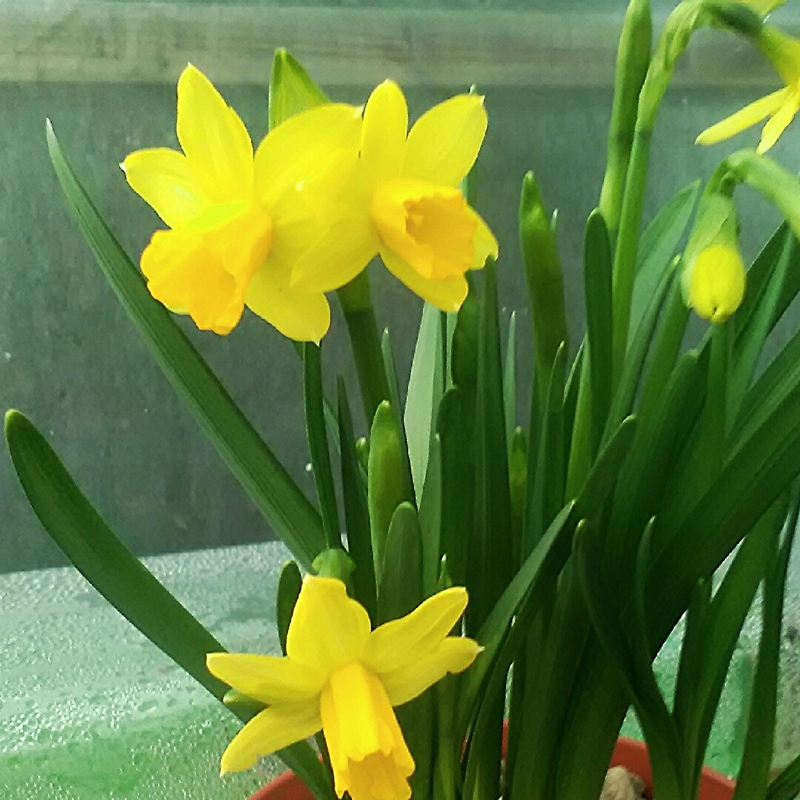 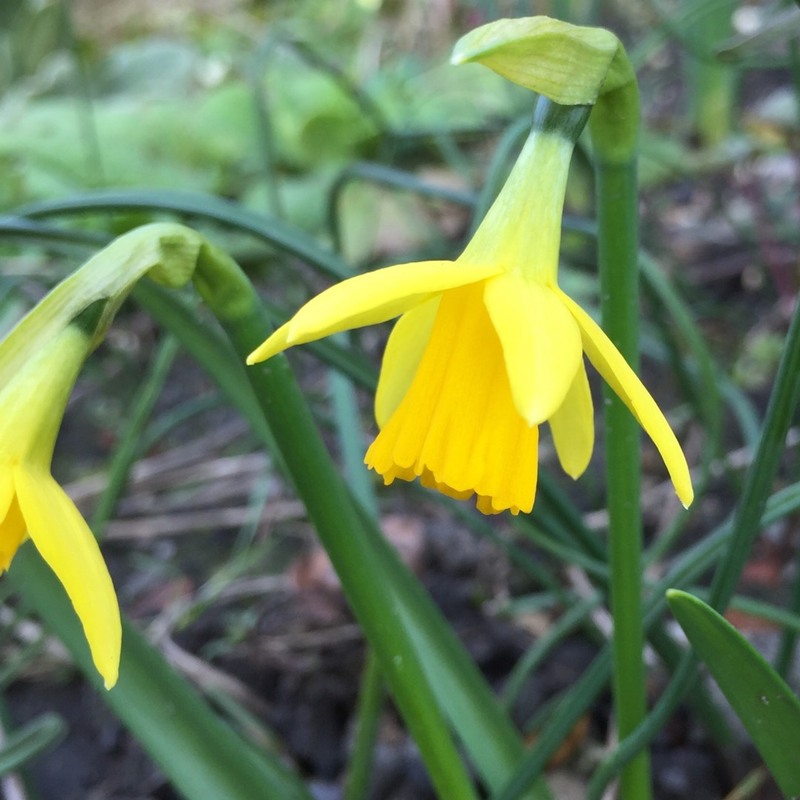 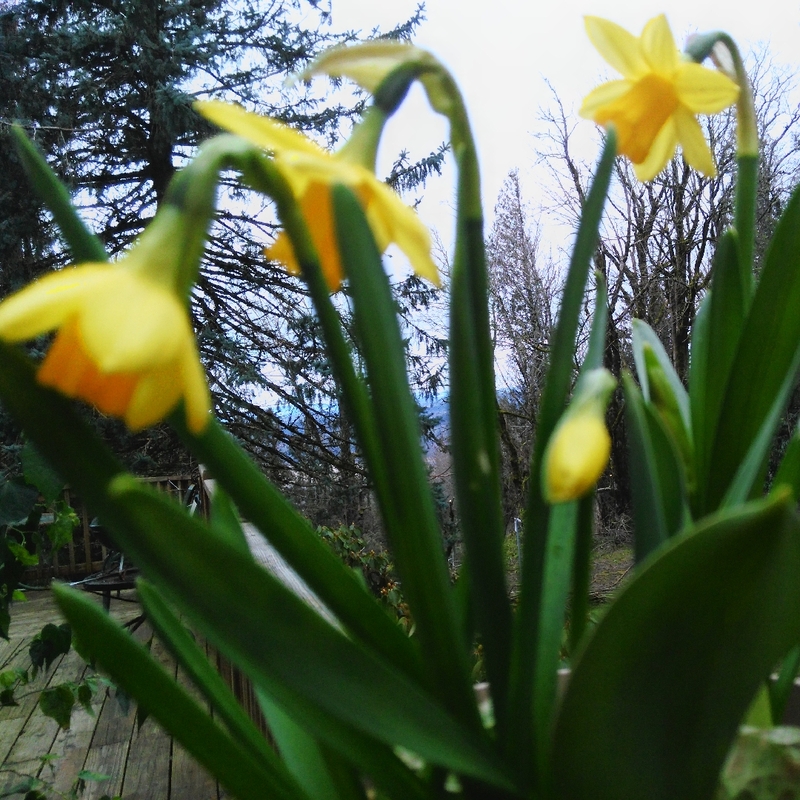 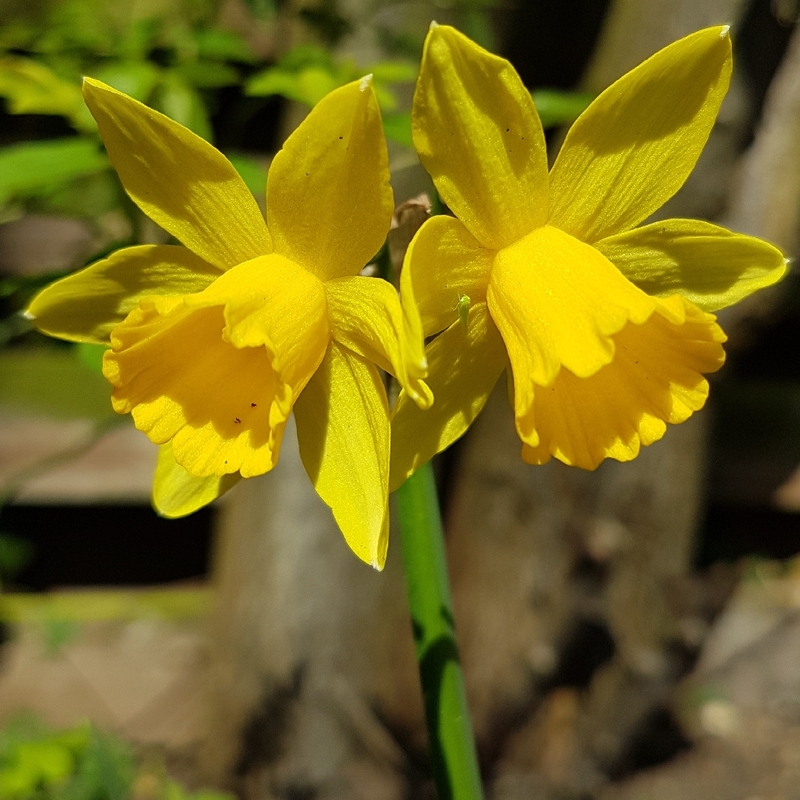 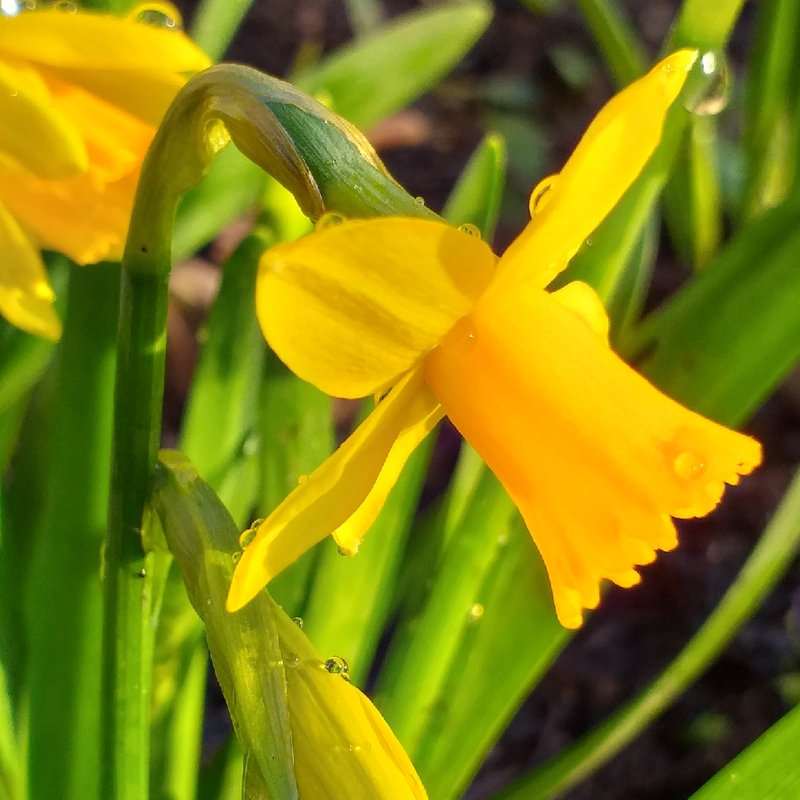 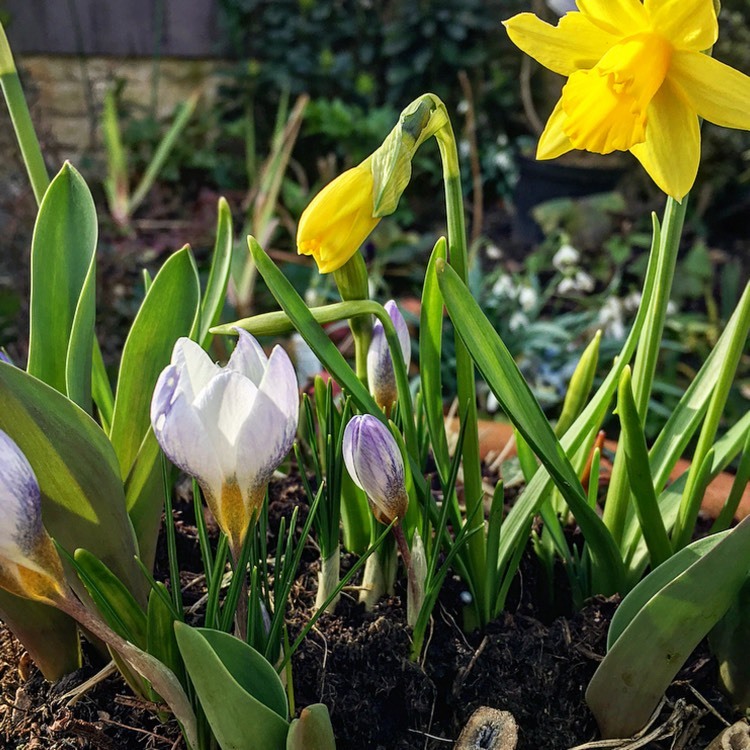 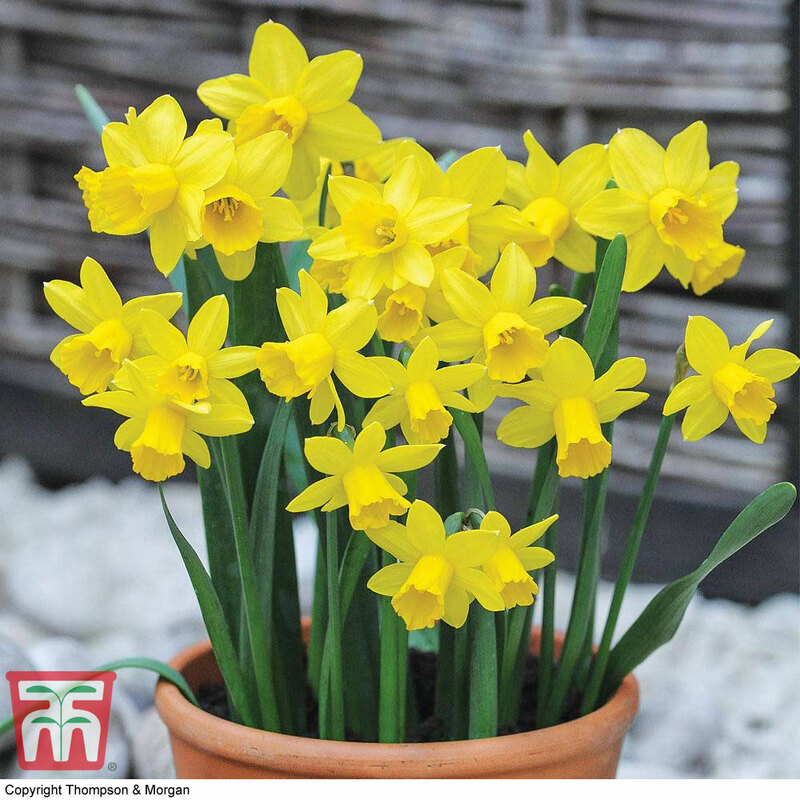 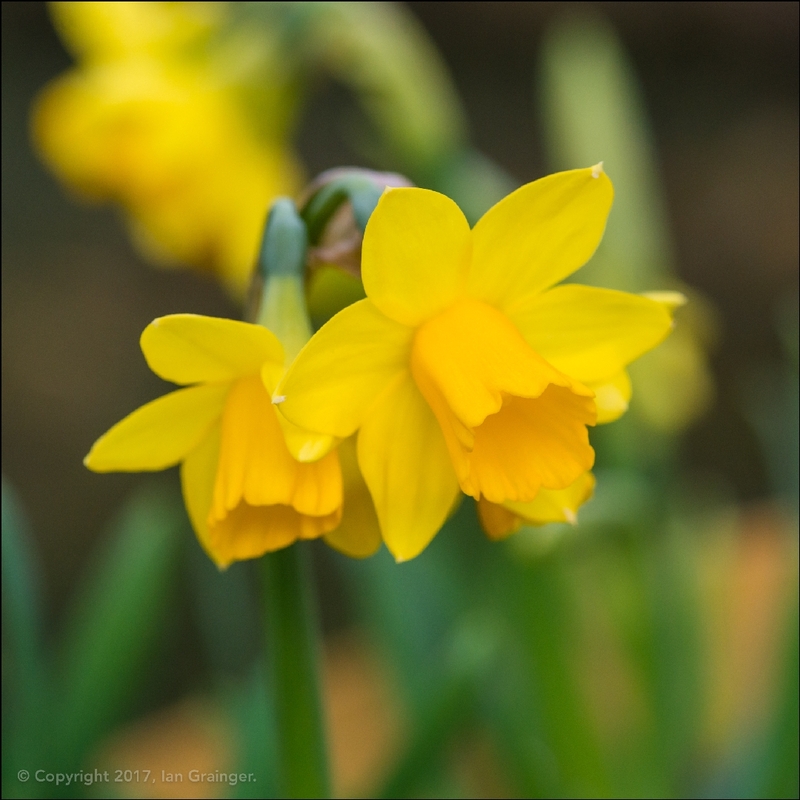 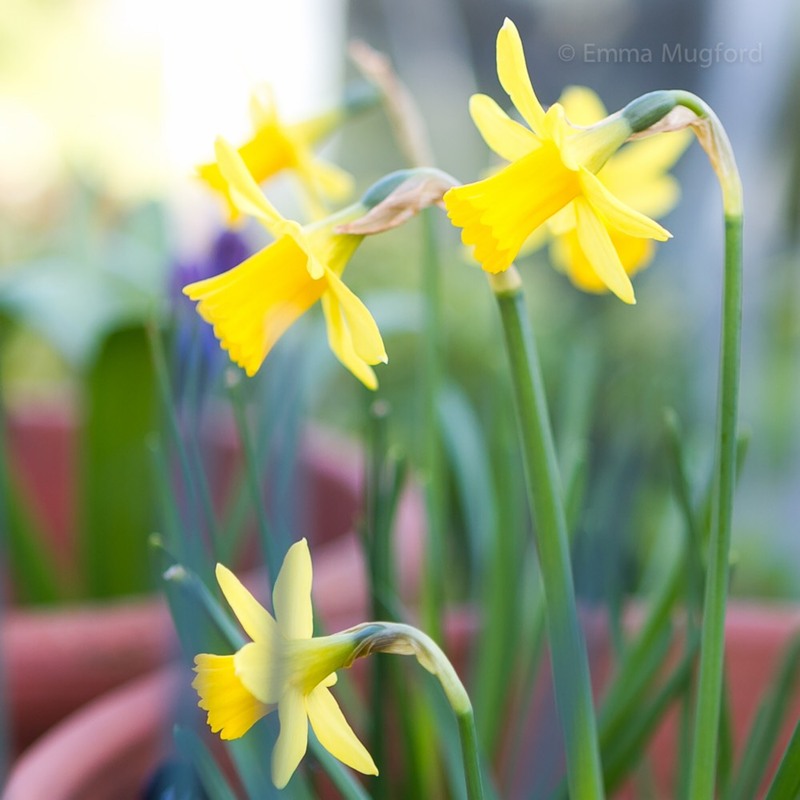 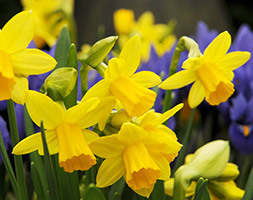 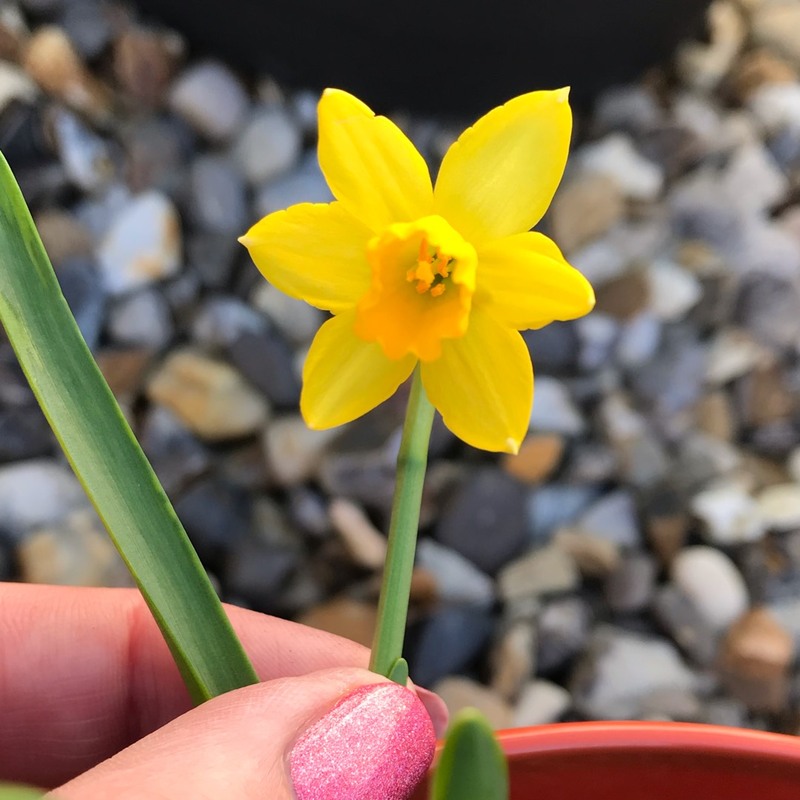 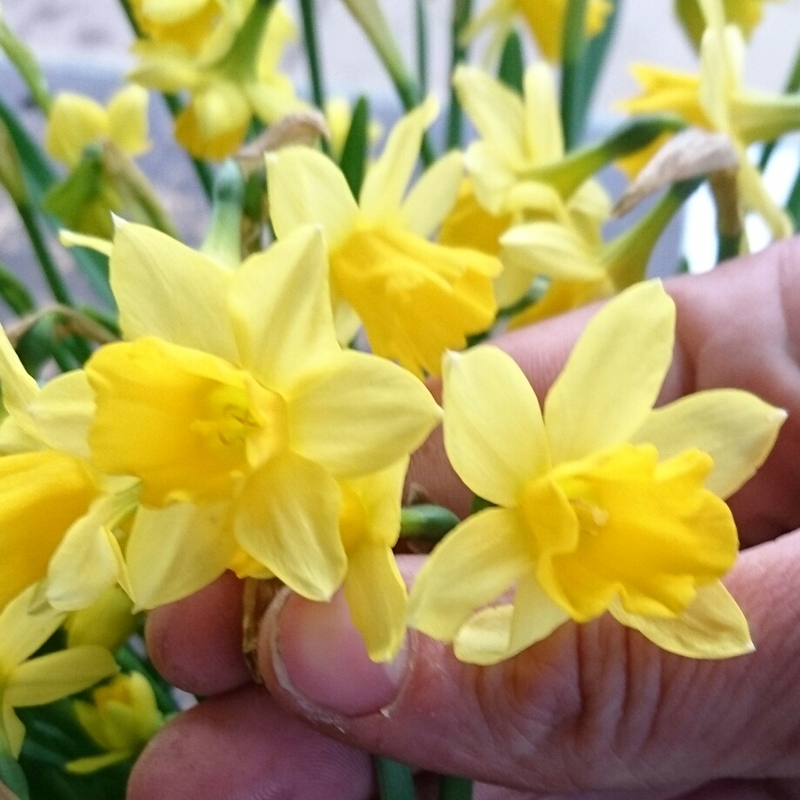 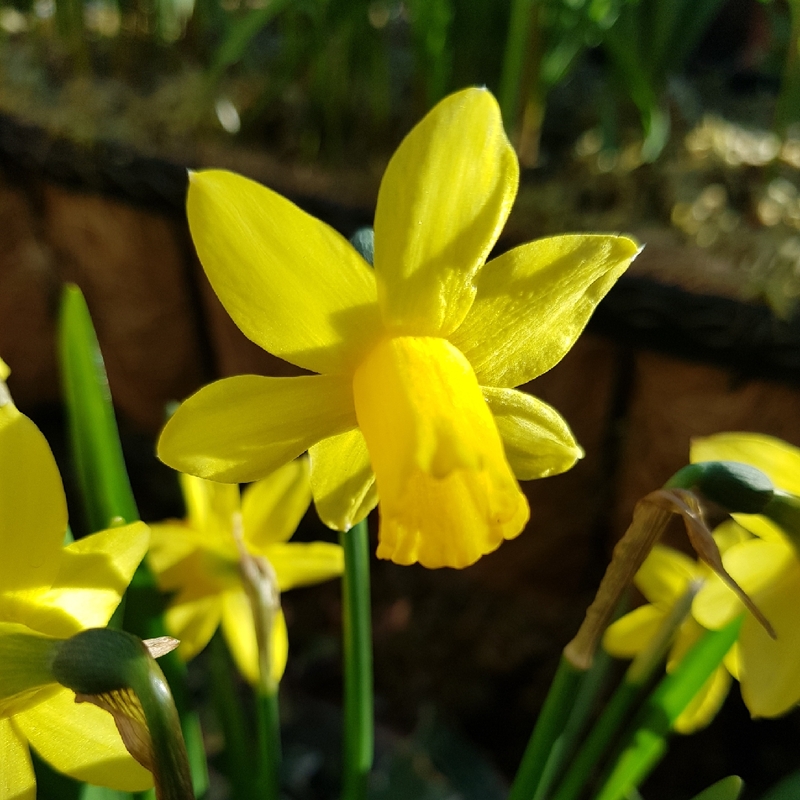 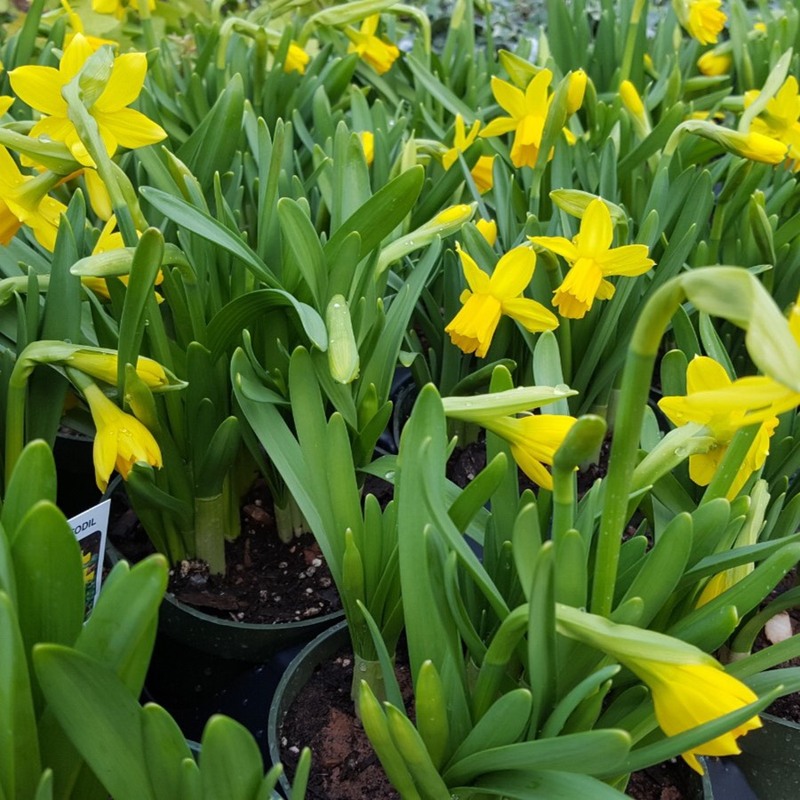 'Tete a Tete' is a popular dwarf multiheaded form, often available in spring in pots, but more economically grown from dry bulbs planted in autumn.